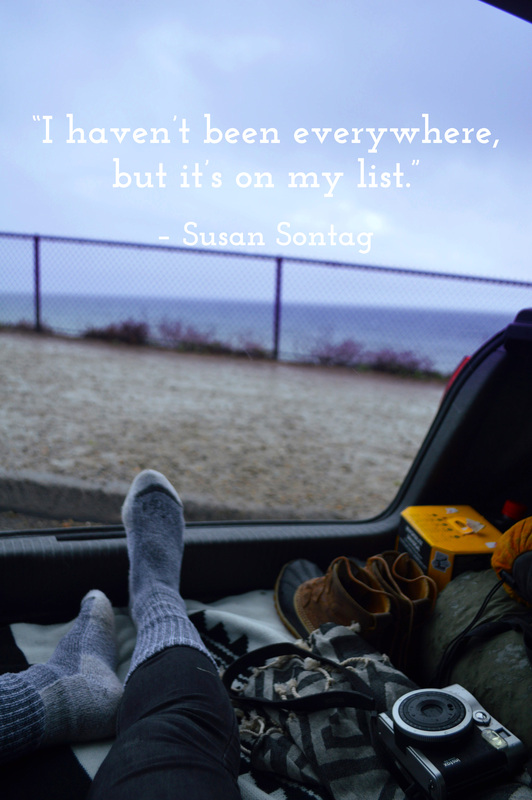 I haven’t been everywhere, and I probably never will, but I have a list and I’m working away at it and you should too. Travel broadens your horizons, builds empathy, and educates you, so travel every chance you get. Travel far away from your home and your comfort zone. Stay close to home and discover amazing places right in your own backyard. Make a list of beautiful places you want to see, exciting things you want to do, cultures you want to experience, food you want to taste, and start figuring out ways to get there. Budget travel when money is tight. Camp, road trip, backpack, where there’s a will, there’s a way, it just takes some figuring out. Live large when you have the cash, stay in the fancy hotel, indulge in the four star food, take the expensive tour, ride, excursion, whatever. This may seem very idealistic, but it’s not. It’s about knowing you want to go somewhere, and taking the steps to make it happen. You may not have the time or money to take a big European vacation and that’s fine, little trips around your home state or city still get you out of your routine and element. Spending a weekend exploring the next town over will do so much more for you than if you spent it at home on the couch. So make a list. You don’t have to go everywhere, but find the places that spark your interest and focus on getting there. If you like this image you can download it right here! You’re so right – people who travel always seem to have plenty of empathy. I’d be so miserable without travel plans! Me too, travel plans always keep me happy and excited for whats next! Where are you going next?